It’s been discovered this week that Facebook is currently testing a new feature on their website that will bring with it private messaging to Facebook Pages when launched. 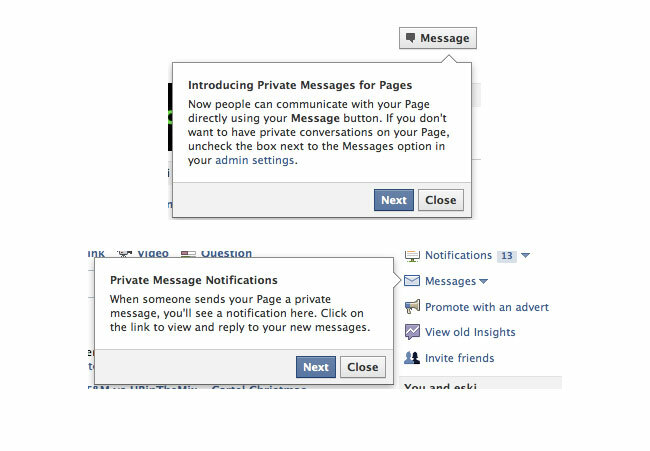 The news of the new private messaging being tested by Facebook was spotted by communications agency WeAreSocial.sg. But Facebook has now confirmed to the Read Write Web site that it is indeed true. The new private messaging service would enable Facebook users to be able to communicate with page owners in private, rather than directly on the wall. In a similar vein to what Twitter has been offering. No information has been released as yet when the new Facebook private messaging feature will be rolling out to the masses, but as soon as any more information comes to light we will let you know.